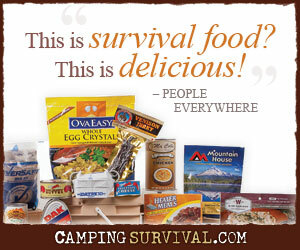 We preppers are always looking for ways to get more food stored up against an uncertain future of inflation, shortages, crop failures and the like. We find a big sale on bagged dry beans and we buy the store’s inventory and lug it home. We breathe a small sigh of relief to have another 25 pounds of legumes in the larder and on we go. We really need to take an extra step though. Early in my prepping, I bought a lot of 1 lb bags of things at the grocery store- rice, beans, barley, and so on. I knew I needed to protect them from pests, so I tossed them into storage totes with snug fitting but not airtight lids. I figured that was good enough and that did work out alright for the most part luckily. Then back at the beginning of the bedbug infestations that were all over the news, something happened. Fancy hotels, movie theaters, even television studios were all crawling with these disgusting blood-suckers. I tried to be so careful not to let these pests into my home. Our old farmhouse has a laundry room added on literally by attaching it to the existing home. We have to go outside and step across a porch to reach it, so any clothing that had been anywhere “suspicious” was deposited there for immediate washing and did not enter the house until it had spent an hour tumbling around in high heat. Even the duffle bags that carried the clothes went in. Despite all my diligent work to keep these things at bay, I started noticing little bugs in our bedroom, on the comforter, and ICK! in the sheets! I was not happy, but not completely sure what I was going to do about it. I knew most things were ineffective against them (I have heard that diatomaceous earth works but have not tried it). About this same time, I began sealing up the accumulated beans, etc. in mylar bags. I was working my way through the storage totes and pulled out one that had been stored under the bed. To my dismay, I saw that it was crawling with little black bugs inside. Upon closer inspection, I saw that most of the bugs were INSIDE the bags of barley. I quickly looked up “grain weevil” online and a photo of this little devil popped right up. So with a mix of irritation and relief, I took the whole tote outside and emptied the contents out for the chickens. I then went to each of the other totes and checked them also. The moral of this story is that insects don’t always eat their way INTO the food. Sometimes they were there when you bought it. Eggs for things like weevils and moths are frequently just waiting for the right conditions to hatch. Although that is disgusting to contemplate, it is a fact that the FDA sets maximum standards for bugs and bug parts allowable in our food and much (all?) of what you buy has at least some contamination. The key is to prevent an outright infestation. I’ve been doing more research on this. The last thing I want to do after saving, planning, and storing food is to open it and find that nasty little creatures have already devoured it. One way to combat this is to freeze it. I’ve read recommendations from 4 days up to 2 weeks in a deep freeze. That should kill any adult insects and prevent them from laying any more eggs. It may kill the eggs themselves. Another way is to deprive them of oxygen. All insects need it to live, so removing it should cause them to die. That is why many people use oxygen absorbers in their bulk food when they seal it up in mylar bags. Using dry ice can accomplish the same thing. So, keep working on your food stores, but by all means, take the necessary steps to make sure it’s edible when you need it! I use soda bottles to store my rice and beans. Clean and dry a 2 liter bottle and then fill it, once full, tap or pat on the sides and the rice or beans will settle and then you fill the space. Once filled and capped you don’t have to worry about mositure or bugs getting into them. You know they are food grade, so that eliminates concern about what kind of plastic the food comes in contact with. How/where do you store the bottles? Do you remove air somehow? With all the troubles we continue to have with mice, I may be concerned that they would and could chew through that thickness of plastic though. Have you ever had a problem? Thanks for sharing this idea. I will have to give it more thought. Dried rice and beans are not affected by air. I tape or pat the sides of the bottles which makes the rice or beans settle then fill in the space the setteling made. There is very little air in the bottle when you do that and then cap it. Food grade diatomaceous earth is used in commercial facilities to prevent insect infestations. It is “generally regarded as safe” by the FDA. I assume it would work on a smaller scale as well, but I don’t know how much to add to say, 10 pounds of grain, or a 5 gallon bucket full. Another I have read but not tried is to drop dry ice into a storage bucket before sealing it air tight. This fills the bucket with CO2, which insects can’t breathe any more than we can. Thank you for pointing that out. DE is wonderful stuff. I finally got around to “publishing” a post on it a day or two ago. I’ve never used dry ice, though I understand the science behind its use. I don’t know of anywhere close by that carries it. I typically use oxygen absorber packets in grains that have been frozen for a week or two and then mylar sealed. Adding a Dry Bay Leaf (from the spice section of the grocery store) to the containers that you store your flours/beans etc. in keeps the insects from hatching – toxic to them I believe. It isn’t good for humans to eat Bay Leaves, but adding them to sauces etc. for flavour doesn’t seem to be a bad thing. I have used this solution for years, with excellent results. thank you for sharing that. im buying bay leaves this evening. found black crumb looking bugs in a bag of beans. discusting and i have a bug phobia.